It’s true…you can’t fix crazy. Sometimes, it’s your crazy that can’t be fixed…most of the time it’s someone else’s crazy that can’t be fixed. 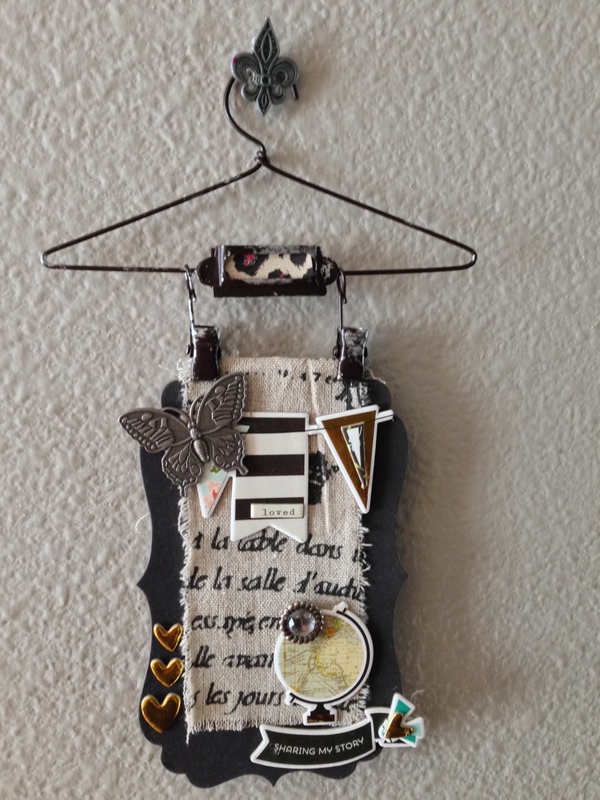 It’s a little manila tag layered with acrylic paint, ink, a stitched frame stamp. 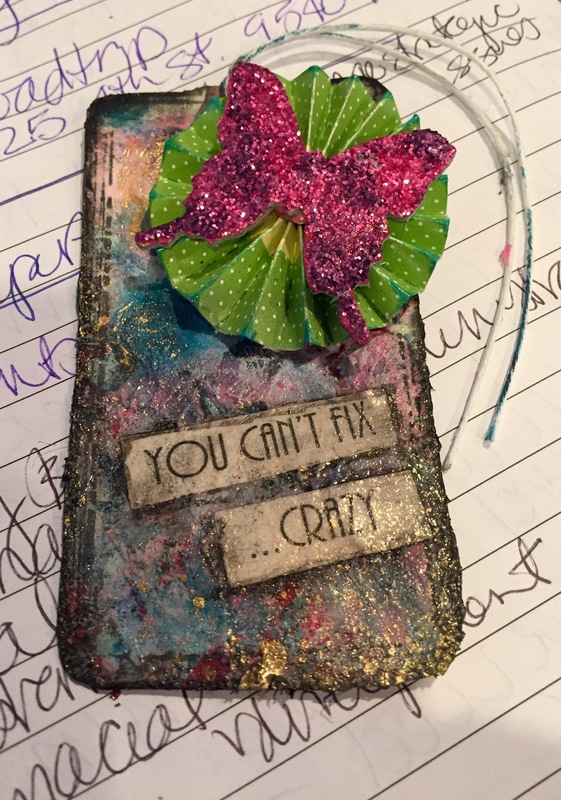 The butterfly is glittered with Tim Holts’ delicious picked raspberry and purple glitter. So sometimes creativity just happens. Actually, creativity is like a muscle the more often you use it the stronger it gets. So, when I am in my groove creativity just happens. The above tag took all of ten minutes. I love it for its easy home décor charm and its ease. All the embellishments, ribbon and even the tag is all premade. So, see anyone can create. I didn’t draw, stamp or ink a thing. I just collaged the pieces. The dimensional heart , banner and globe stickers (The stickers were part of a dimensional embellishment packet from Simple Stories) and the metal butterfly were in my stash as was the black chipboard tag. Layer it up ladies then call it done and Done.